Today's card is for Stylin' Stampin' INKspiration where we were making one-layer cards. 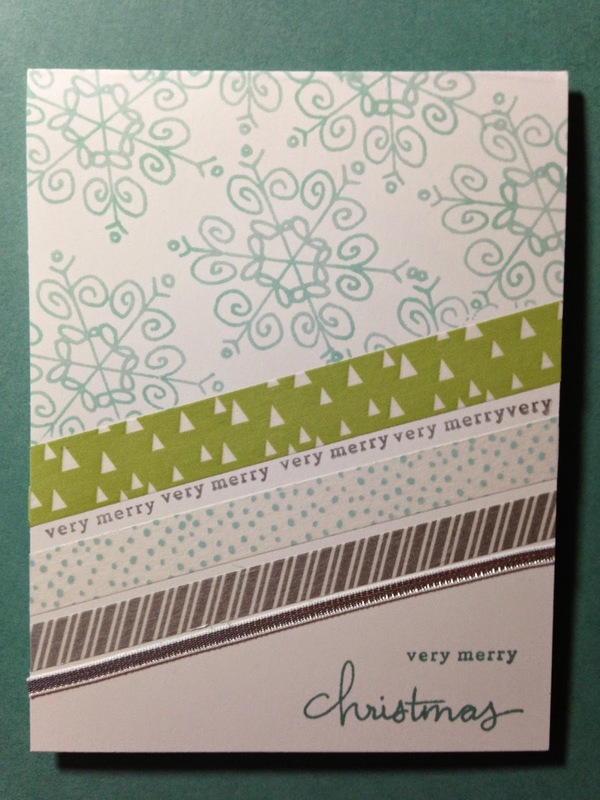 It's a really cute card and I will admit, I got my inspiration from the Stampin' Up! Holiday Catalog. Do you love the Washi Tape? It's called "All is Calm" Designer Washi Tape. There are six rolls (yes SIX) for only $7.95! This stamp set was such a huge hit last year that it is back again this year! It's called Endless Wishes and the words have the BEST font! It comes with several different sizes of the snowflakes as well! Super cute! See you tomorrow for our Monthly Blog Hop! This is an adorable card! I really love it! And SO simple!